The neighborhood of Ramat Shlomo in northern Jerusalem is famous for the dust-up between Israel and the U.S. Administration two years ago when Israel announced plans for expansion of the ultra-Orthodox housing project. Originally, Jerusalem's legendary mayor Teddy Kollek planned that the area, known as the Shuafat ridge, would house a 50,000-seat football stadium, sports facilities and tennis courts. the bleachers here, and the field here. 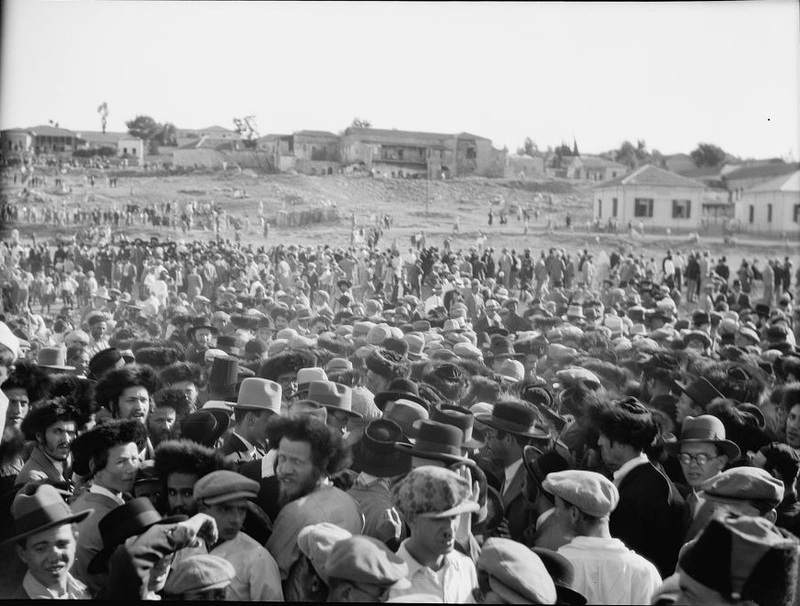 But access to the stadium would have to be through Jerusalem's ultra-Orthodox neighborhoods, and Sabbath protests and demonstrations were a certainty. 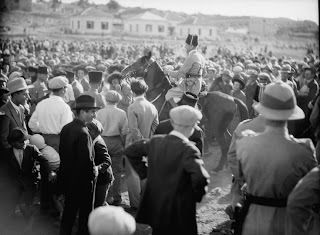 Eventually, the stadium was built in southern Jerusalem near Malcha, and the Shuafat ridge became part of a contiguous stretch of ultra-Orthodox neighborhoods. 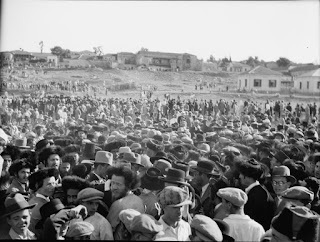 masse to force the discontinuing of the Maccabee footbal game"
The Sabbath tensions over public sports games on Saturdays were documented by the American Colony photographers some 80 years ago. 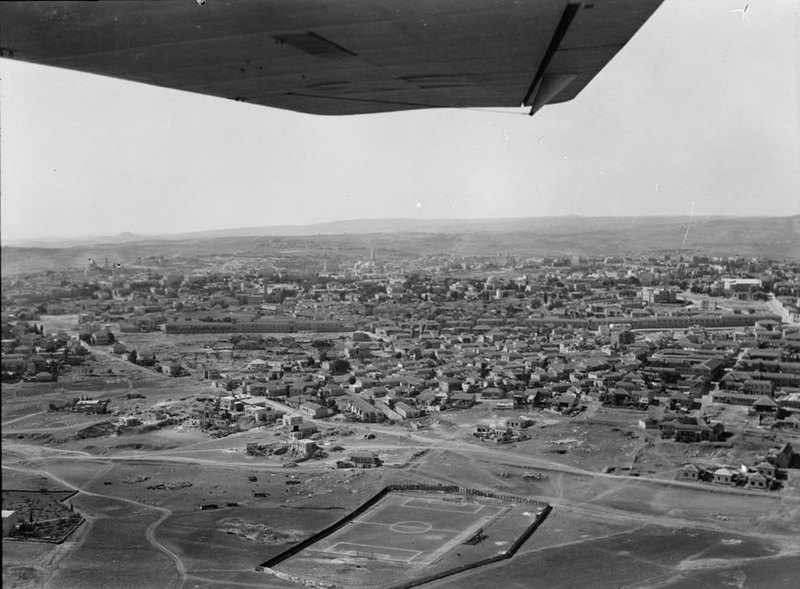 Some of the photographs identify the field as "near Bokharbia," perhaps meaning near the Bukhari Jewish neighborhood adjacent to Meah She'arim. The decades-old issue of Sabbath observance in Jerusalem suggests that this dispute may indeed not be resolvable; rather, like other conflicts in the Middle East, the best one could hope for is that it would be manageable. could this be the pitch? notice how in the pictures from the 19th century they're "ashkenazi jews." 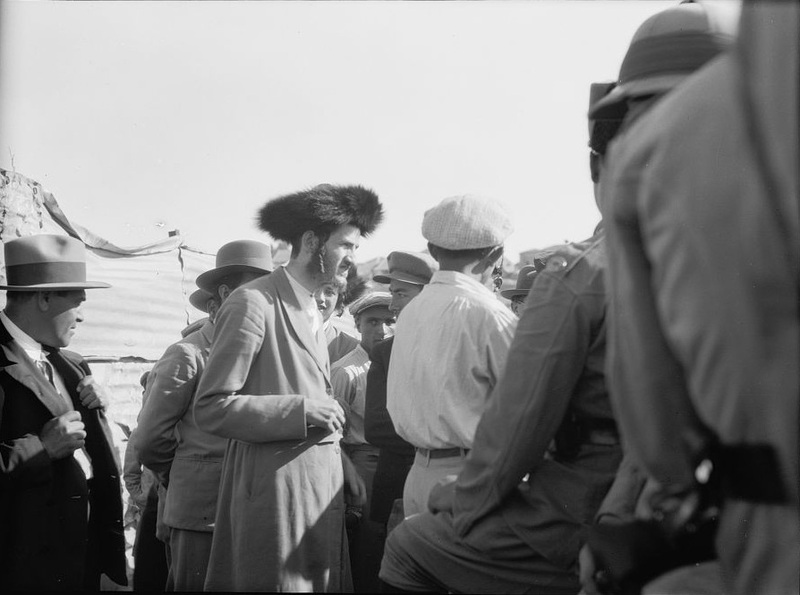 suddenly after the second aliyah they became "orthodox jews"